We started working on Forum not on a spring day in the streets of Rome but during the frigid months of January and February. After a few snow days kept us from rehearsal, we were back in the auditorium, preparing our actors for their trip back to ancient Rome. Set crew built not one, but three houses for us to create a magnificent set that was the feature of our show. 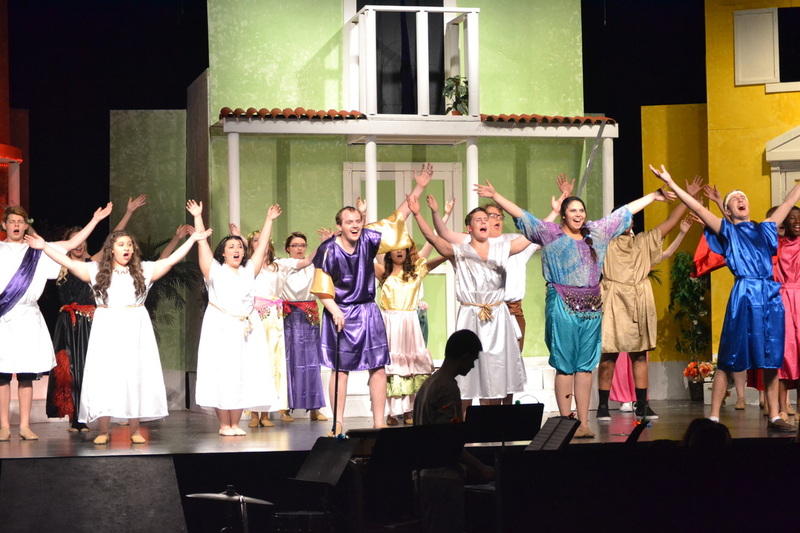 All costumes were hand made by our wonderful costume crew, and this was the first time in several years we brought in a pit orchestra for the live performance that made Forum such a funny and exciting show.